This is your last chance to get retiring products--hundreds of products are only available through June 4 and then they'll be gone forever! I always seem to be a little behind in the latest trends, but have you noticed how geometric shapes are popping up all over? 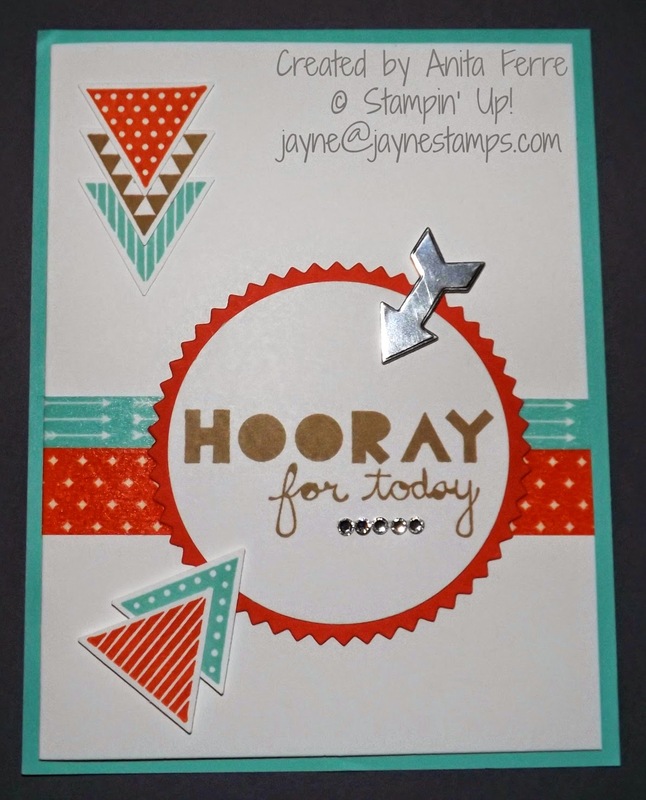 Of course, Stampin' Up! keeps up with the latest trends so I don't have to worry about it - I just check out what they are offering in stamps! Anita Ferre made this Retro Fresh-inspired card with Baked Brown Sugar, Coastal Cabana, and Tangerine Tango. 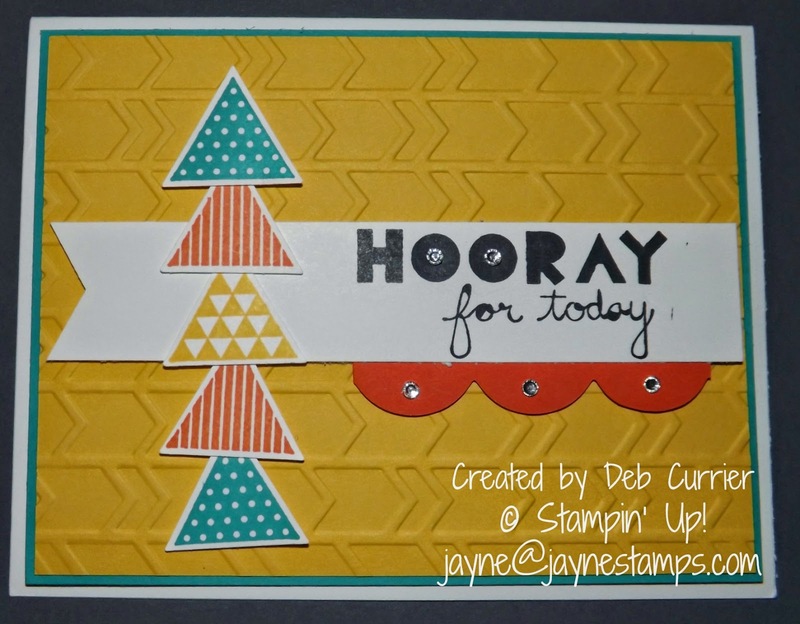 This bright card was made by Deb Currier. She also used the Arrows TIEF. I love her color choices - Coastal Cabana, Crushed Curry, and Tangerine Tango. 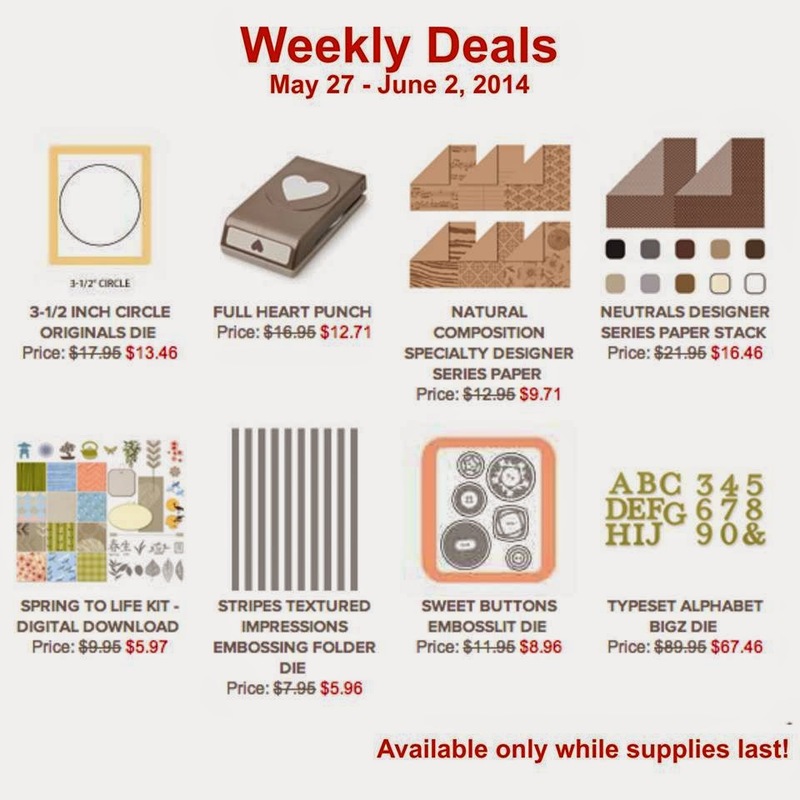 And check out the new Weekly Deals!